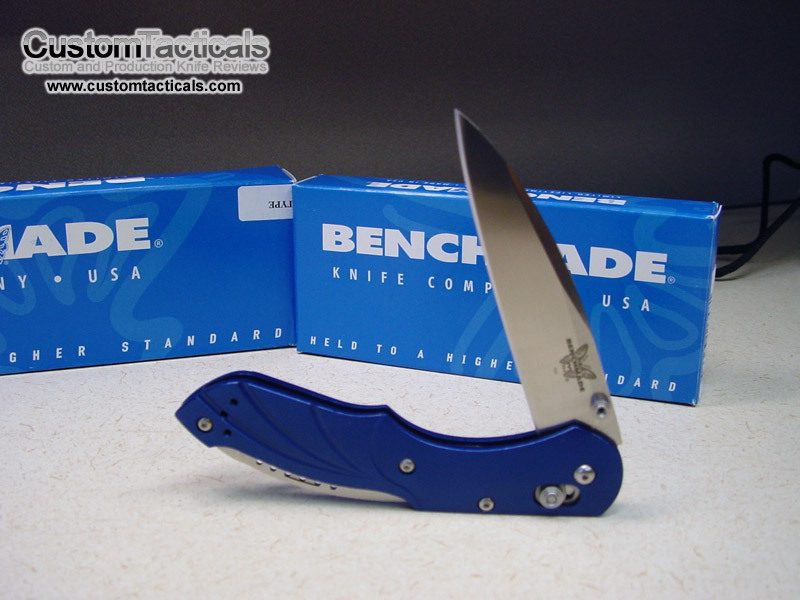 This 921 Switchback knife from Benchmade is probably one of my favourite Benchmade knives of all time. Designed by Warren Osborne, a famous custom knifemaker from Australia, the Switchback is unique in that it offers 2 knives for the price of one. In addition to the main blade which features an axis-lock, it has a secondary slip joint blade that folds out of the back. 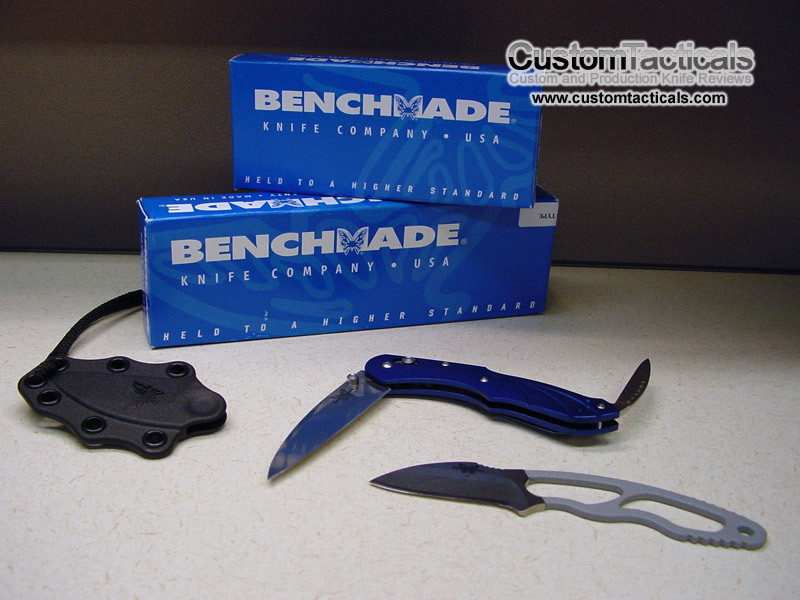 The handles on the BM921 are made of Blue annodized Aluminum, which is very attractive, with nice sweeping lines. The main blade on the 921 is a beautiful Stonewashed finished S30V, while the secondary blade is 440C with five holes drilled into the top of it. The Axis lock is very slick and works nicely. The blade has a very nice semi-wharncliffe shape to it, with a slightly upswept point, making it quite nice to use. I personally like wharncliffes, so this is a good thing for me. The secondary slipjoint blade on my example hits the back of the knife, causing a flattened area of the blade. Not a good thing… I’m assuming the quality control ont his particular model was not the best, as this is supposedly the case with all of the earlier batches. The profile of the knife is very lean, and the knife overall is very thin as well, with excellent blade geometry as the knife does some fine cutting. I enjoy carrying this folder also as it doesn’t feel noticeable in the pocket like many thicker folders that are popular today. The knife is not a heavy duty knife, but I think I could put it through it’s paces without it taking too much damage. 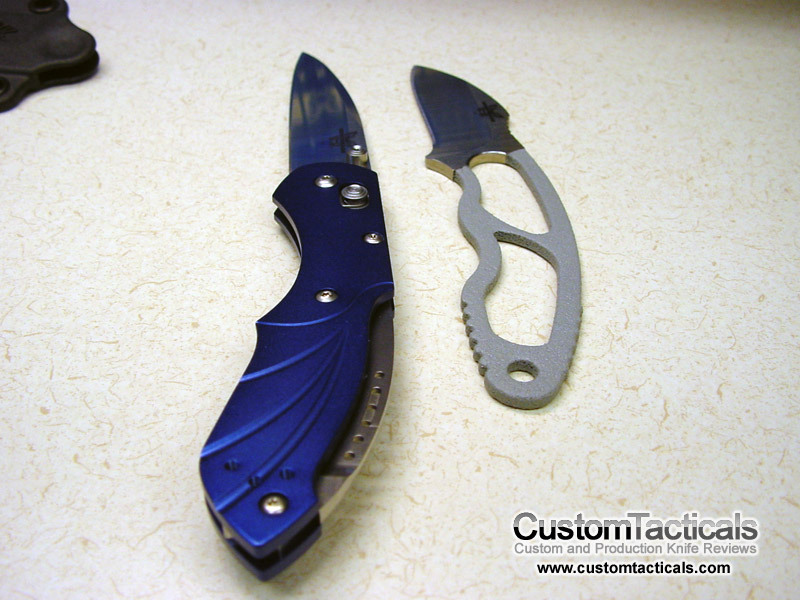 The finish on the blade is beautiful and overall it is an outstanding knife for the money.